Throughout her career she has worked in a wide variety of media but her heart remains with pop art, minimalist and feminist art movements which reflects works inspired by Andy Warhol, Claes Oldenburg, and George Segal. 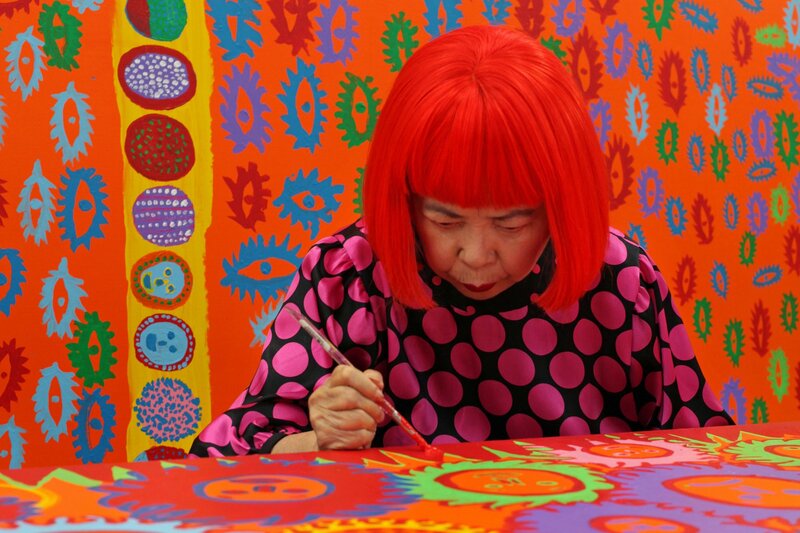 Kusama began to experience vivid hallucinations described as "flashes of light, auras, or dense fields of dots". These hallucinations also involved flowers speaking to her and the patterns in fabric that she stared at coming to life, multiplying, and engulfing or expunging her. Through this process she has carried into her artistic career and calls "self-obliteration", which is artistically brought to us in Argentinian director NOWNEss's video below. What to expect at her Heart of a Rainbow Exhibition? Life is the Heart of a Rainbow opens at the National Gallery Singapore in June 2017. Visitors will be wowed by her famous work - The Infinity Nets series and dotty prints. 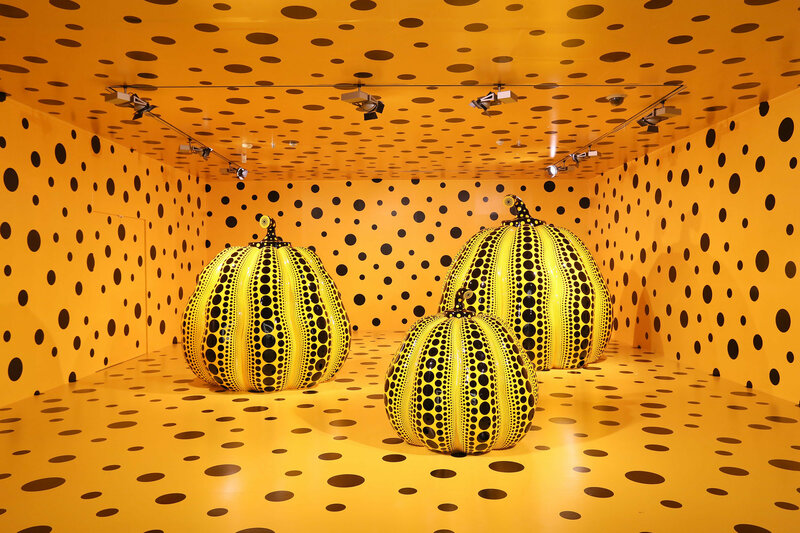 With over 120 paintings, sculptures, videos and installations from the ’50s to the present date, including a recreation of the artist’s infinity mirror rooms. Check our her works below. For more information on the exhibition, click here for National Gallery's website.